On Monday a body was found on a Costa Rican property where a Florida woman who disappeared recently, was staying. Carla Stefaniak had been staying at an AirBnB property and celebrating her 36th birthday. A body was discovered behind this very location. The body — which was found partially buried in plastic bags — was discovered by cadaver dogs in back of the AirBnB, said Marisel Rodríguez Solís, spokeswoman for the agency investigating Carla Stefaniak’s disappearance. Stefaniak was reported missing last week after failing to return home from her trip to Costa Rica on Wednesday. She last spoke to her family Tuesday night. According to a timeline provided to media, Stefaniak told a friend online that the power to her AirBnB cut out amid heavy rains. “Super sketchy,” she wrote on a WhatsApp group chat. Shortly after, during a FaceTime call with a friend, Stefaniak said that she was thirsty and considered asking security guards at the AirBnB if they could buy her some water, according to the timeline. It is believed that Stefaniak was kidnapped. 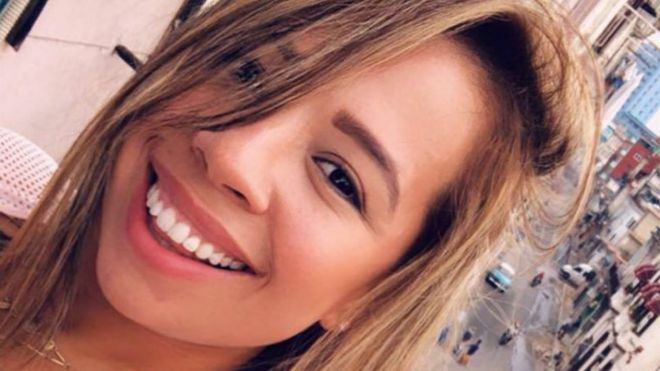 The owner of the AirBnB where she stayed told the family that Stefaniak was last seen boarding an Uber with luggage around 5 a.m. on Wednesday. However, Stefaniak’s Uber app history does not show any history of such a ride. On Monday, the family wrote on Facebook that they were working tirelessly to locate Carla and to bring her to safety. Cases of kidnappings are not easy to solve. There are a handful of culprits and witnesses. Therefore, attempting to locate the culprit and the victim in a kidnapping case is equivalent to searching for a needle in a haystack. There are multiple explanations for Carla’s disappearance. However, there is a limited amount of evidence which is available in the case. The Uber driver and the family which owns the AirBnB property are the witnesses who are crucial to this case. In this case, the use of conventional interrogation methods cannot elicit a great amount of information. In cases where evidence is rare, and the witnesses are incidental, the job of the investigators is rather tough. There is a pressing need for cutting-edge technology in the area of interrogation and criminal investigation. A technology called Brain Fingerprinting is the answer! Developed by Brainwave Science, iCognative is proven. Essentially, Brain Fingerprinting can determine if specific information related to planning, committing or witnessing a crime is present in the brain of a human being or not. This is applicable in about 85% of the cases, whether civil or criminal. Based on the P300 and P300-MERMER brain response, this technology processes brain information using a computer system and a specialized wireless headset. Distinct electrical responses are recorded from a human brain when it is exposed to familiar stimuli. These stimuli comprise images, words, and phrases related to the crime for which the person is being tested. Unlike traditional investigative techniques, there are no questions asked to the subject. There are no countermeasures. The test reports no false positives or false negatives. The brains of the perpetrators and the planners contain crucial information related to the crime, the methods employed, the routes taken and all other minute details. In the case of the abduction/kidnapping of Carla Stefaniak, evidence gathered from the AirBnB can be uploaded into the iCognative system test protocol. Details related to the case and known to investigation agencies such as: date and time of last known location of the victim, time of her last call; testimonies of security guards at AirBnB along with her chat details on Whats App regarding power outages all such case specific details (Stimuli) can be used to conduct a iCognative test on all suspects or witnesses. The Uber driver can be identified by the requesting Uber for details of the cabs which picked up passengers around the time when Carla boarded an Uber. Once found and apprehended, this information can be used to run a test on the Uber driver, and the AirBnB owner. iCognative can extract useful insights as to whether the subject is aware of the crime-related pictures, words and phrases. If the body recovered is not of Carla, then investigators can proceed swiftly with intelligence collected by iCognative test to locate her at the earliest. If the autopsy confirms that the body is Carla’s still the intelligence collected via iCognative technology can be utilized to bring forth perpetrator of such heinous crime. iCognative is applicable to more than 85% of criminal and civil cases. It is highly accurate to a degree of more than 99%. The technology is highly customizable and needs negligible maintenance. iCognative offers higher accuracy than other techniques. It is non-invasive and involves no torture. Investigative agencies can harness the power of iCognative to detect crime-specific information stored in the brain of the arrested suspect, and quickly solve the case.